When we first put together this plate of green, red, and pink, we were not expecting much of the result. After all, how surprising could four familiar ingredients taste when gathered in one dish? Turns out, this salad is simplicity at its best. 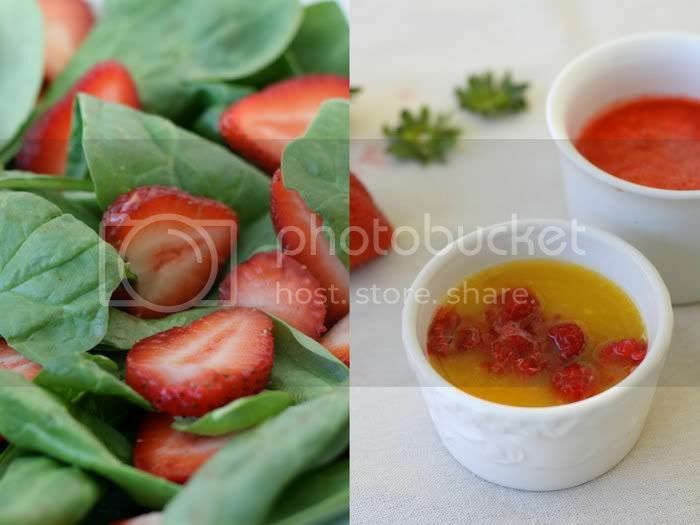 The orange and frozen raspberry dressing does wonders to the baby spinach and strawberries, making them taste like a bowl of the most widely assorted fruit. This is a wonderful dish for those who do not care for spinach, for all you can taste is the crunch and freshness of the leaves. Also, it’s a great starter when cooking for friends – incredibly easy in preparation and impressive in flavour. I’ve got many warm feelings for this salad and I could continue raving, but I won’t keep you any longer. Just remember that it is a sunny day in a bowl and you won’t regret giving it a try. One last thing – we made a Flickr, let’s be friends. In a blender, mix the dressing ingredients until smooth. 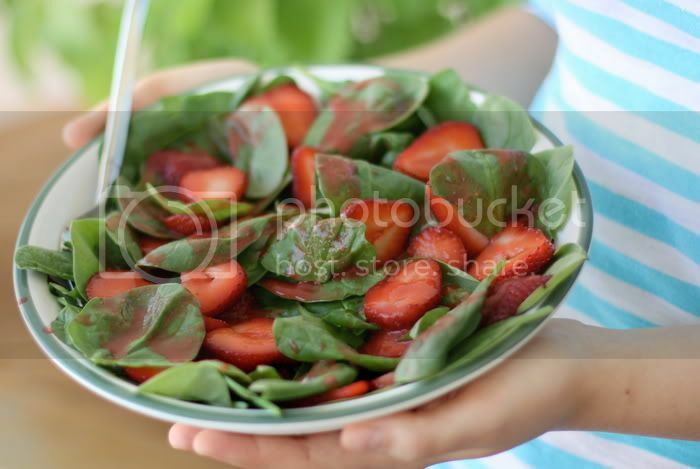 Toss the spinach and strawberries with the dressing. As usual, excellent post full of beautiful pictures. I really like the simplicity of this salad. 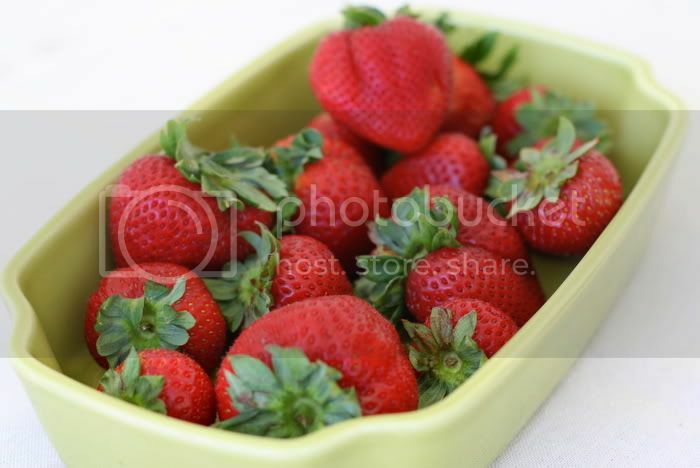 The strawberries are jumping out of my screen right now. Very nice photography and the salad sounds simply delicious. Lovely, simple, what more could you ask for? Gorgeous photos! This is one of the most beautiful, tasty, creative and original sites for raw food recipes.